Gillows was founded in 1730 in Lancaster by Robert Gillow who strove to produce well-made fashionable pieces of furniture. They had premises in London to showcase their furniture and became successful suppliers to aristocracy, gentry and middle classes throughout Britain. 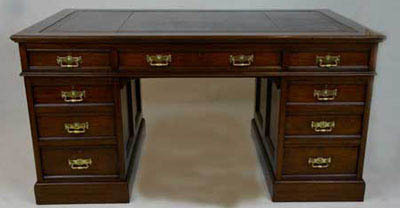 What made Gillows exceptional was not only the design of their pieces but also the emphasis placed on apprenticeship and craftsmanship, training employees to a very high standard. 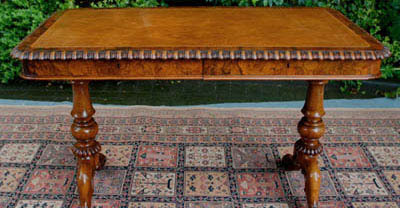 They also sourced materials from agents around the globe, supplying the fashionable timbers of the time. Agents in the West Indies supplied mahogany and satinwood, Rosewood was sent from Brazil and oak and pine came from the Baltic area. This winning combination of fashionable design, expert craftsmanship and quality materials lead to the company remaining successful throughout the 18th and 19th centuries. The company joined forces with the Liverpool Company ‘Waring at the end of the 19th century, to become ‘Waring and Gillow’ and continued to manufacture furniture through to the first half of the 20thcentury. 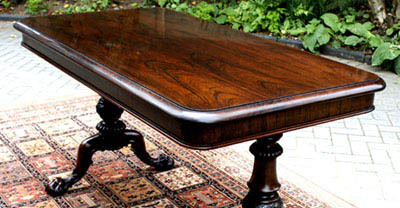 If you are looking for antique furniture that will stand the test of time, hold it value through the ups and downs of fads and fashions you may like to consider a firm such as Gillows to invest in. Their legacy of style and quality, which has endured is from the 18th and 19th centuries and continues to be greatly admired and valued. 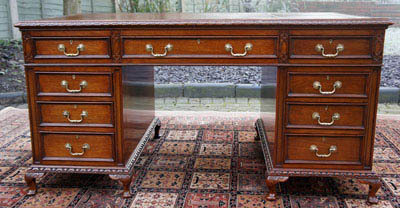 ‘Those in the know’ have always seen Gillows furniture to be a good investment for the future.